When changing indentation the numbers don't automatically update, which makes it hard to keep track of my numbered lists. Can you do something similar? It's really frustrating when I'm editing a big outline that the numbers don't match up. 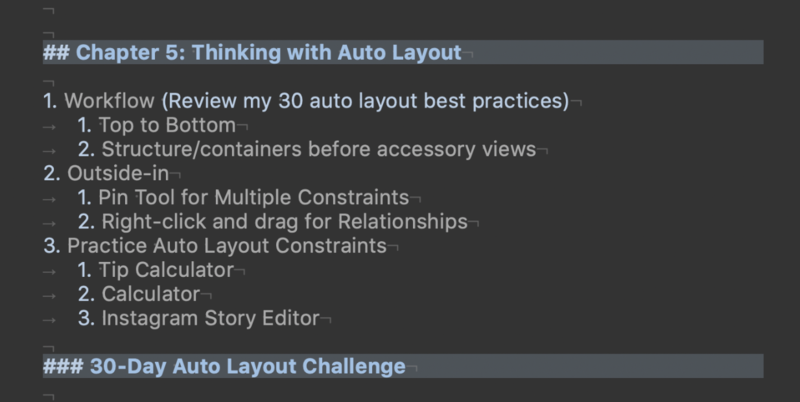 Workaround: convert list type for each list will renumber ... can there be an automatic option so I don't have to toggle every list in my outline or book? The cleanup feature doesn't renumber starting with 1. That would be a requirement of this feature. cause trouble during these transitions. expose users to these bugs much more frequently, if they exist. 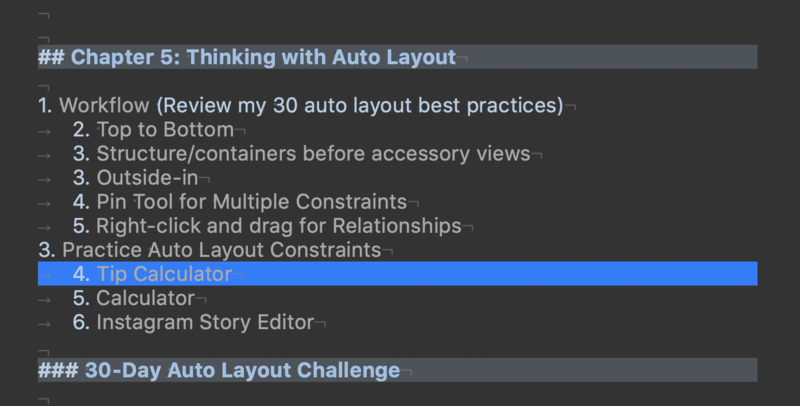 adding preferences unless truly necessary. automatically start with the proper numbering. will reapply consistent numbering to all lists in your document. Ok, so the toggle list type is the easiest way to do this from a hotkey, so I don't need to dig into menus. That's going to be my workaround. Toggling the list type works great, and it gets the sublists to renumber too. The cleanup list/all has corrupted my documents before ... so I don't trust it. It's just annoying that when I indent, it doesn't reset the number to 1. I don't need you to auto renumber all the time, but I would like "smart number" indenting. Feature Request: Can you make indent right make the number go back to 1? Then if the automatic numbering keeps incrementing that will make me happy. Right now, it just keeps counting up when I indent, throwing off all the numbering in the entire document. I'd like it to at least number things sequentially based on level of indentation. Unindent should revert to the next number in the list (if there is a list). Indent should restart list item at 1. > so I don't need to dig into menus. That's going to be my workaround. But I'm not ready to force it on everyone while they edit lists. > It's just annoying that when I indent, it doesn't reset the number to 1. > Feature Request: Can you make indent right make the number go back to 1? > sequentially based on level of indentation. > Indent should restart list item at 1.
the risk of undiscovered bugs, as above. force it with every keystroke. each keystroke?) That will be easy enough to test. Does the change list type use the cleanup code? I'll keep using that feature, since it's the easiest and has a shortcut. Have you setup any unit tests to verify different inputs? I think that'd be the best way to establish confidence. Create a test for any new bug/fix you do to the output. to see what the actual algorithms do. in situations that don't fit my expectations.... Which is the problem. avoid repeating the same mistakes in the future. Fletcher closed this discussion on 09 Dec, 2018 09:38 PM.